The average finishing time in Boston is fairly good, but that’s just because you have to qualify for it. 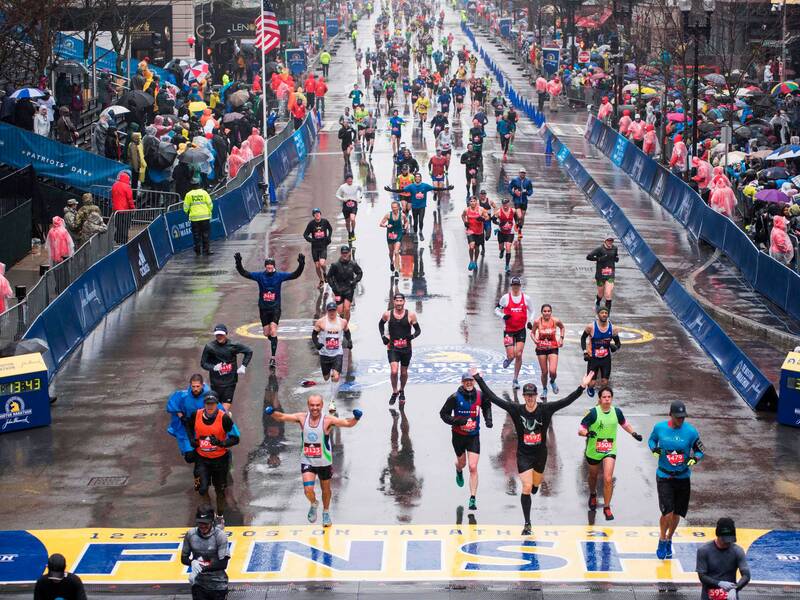 People run fast in other marathons so that they can get into Boston, where they will then slow down. The fourth factor is the number of turns. Marathons are measured precisely so that the shortest line from the start to the finish is exactly an international standard based on the distance Pheidippides purportedly ran in 490 BC. But almost no one can run on that exact line. You’d have to take every turn precisely on the inside, and with every twist of the road you’d have to “run the tangents,” which means following a precisely straight line to the furthest point you can see. This is hard to do running on any road. It’s nearly impossible when jostling with 50,000 other runners, some of whom are dressed up as Elvis or Wonder Woman. A decent rough estimate is that every substantial turn in a marathon slows runners down by approximately a second. This fall, I ranboth the Chicago marathon and the New York City one. According to my GPS data, my pace was better in New York, but my overall time was better in Chicago. How could that be? Because the total distance I covered in Chicago, with its simpler course, was about a tenth of a mile shorter.